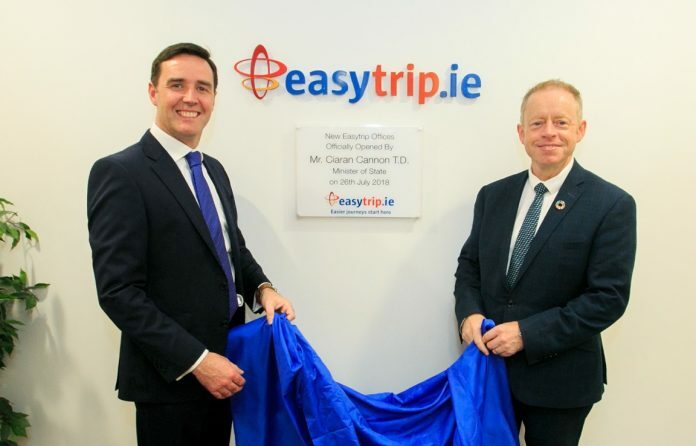 easytrip, best known as Ireland’s electronic parking and tolling tag provider, recently celebrated the official opening of its newly expanded 6,000 sq. ft. offices in Mulhuddart in Dublin 15. The new office expansion has allowed space for an additional 10 staff to be recruited in the future. 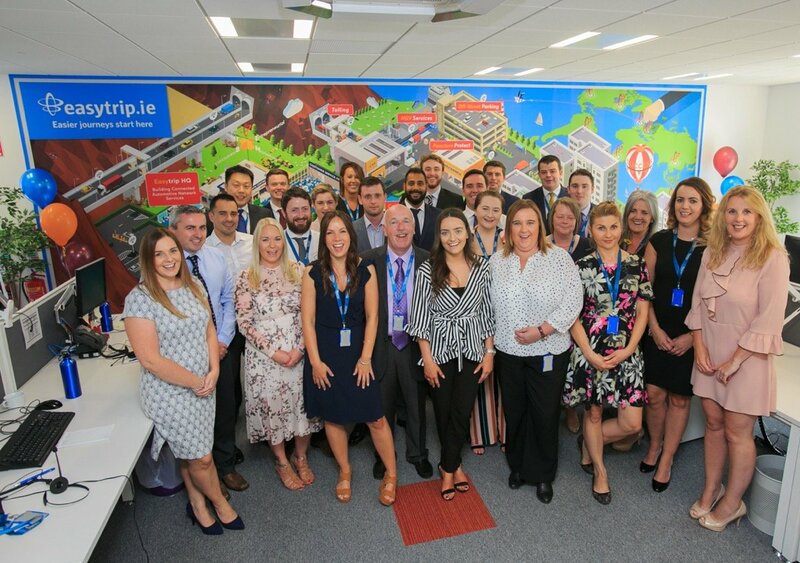 Established in 2005, easytrip was the first independent provider of electronic tolling services in Ireland, trading as ‘eTrip’. In 2008 it acquired ‘EasyPass’ and in 2009 it re-branded to become Easytrip. Today easytrip employs 36 staff and has over 225,000 registered users who avail of their electronic tag services that include cash-free parking with easyParking, breakdown assist with easyAssist, Puncture Protect and tolling, and their newly launched easyWash service. Caption 1: Colin Delaney, CEO of easytrip with Minister of State at the Department of Foreign Affairs & Trade Ciaran Cannon TD marking the official opening of the newly expanded easytrip offices in Mulhuddart, Dublin 15. Caption 2: Members of the easytrip team celebrate the opening of their new office expansion in Mulhuddart, Dublin 15.